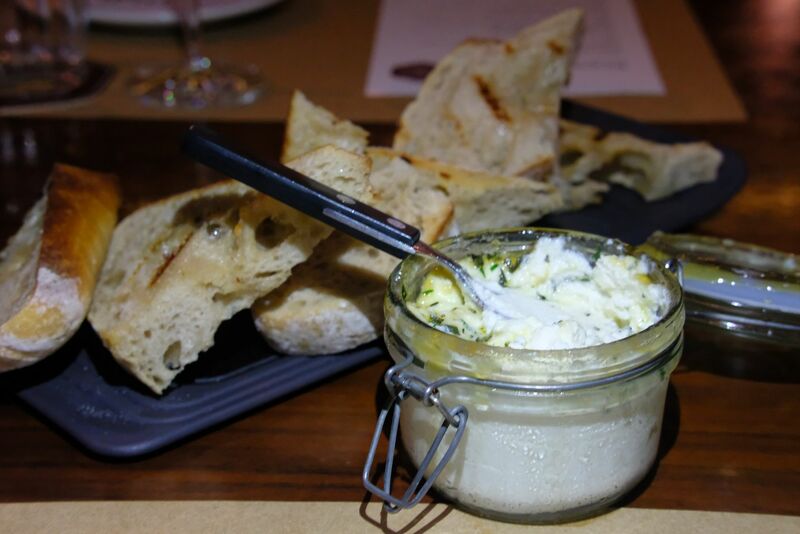 Bread is always a good idea, but freshly Grilled Sourdough ($6) with Whipped Buffalo Milk Ricotta Cheese ($15) is an even better idea. The cheese was creamy, rich and smooth and sweetened with just the right amount of organic honey. Don't be shy, slather a handsome dollop of cheese onto the fragrant sourdough. One bite, and you will know that you're off to a good start. If you have been to Cook & Brew before, you'll know that the Nova Scotia Lobster dish here is a knock-out. 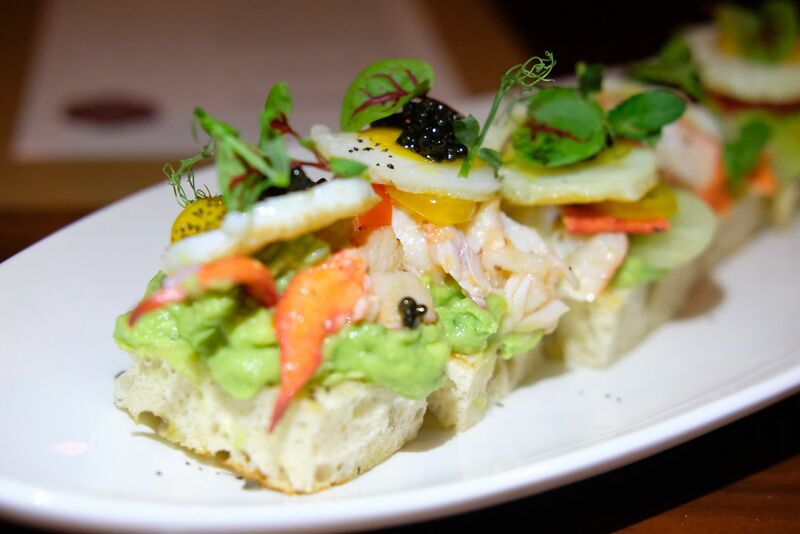 You can expect the same with the Nova Scotia Lobster and Avocado Toast ($21) which comes topped with sunny side-up quail eggs, Ossetra caviar and granny smith apple. The dish might seem like a simple assembly of flavours, but this clever creation is one dish that you can't afford to miss. You might have ordered it to share, but don't be surprised if you find yourself unwilling to share after just one bite. 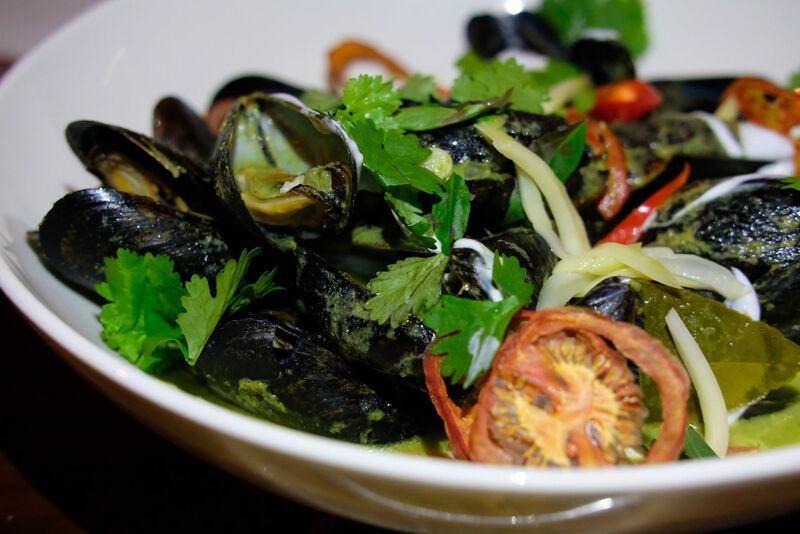 The Canadian Prince Edward Island Black Mussels ($16 as appetiser, $30 as a main course) in Thai green curry took us by surprise. The creamy and rich green curry accentuated the sweetness and briny flavour of the mussels, and made this ensemble quite unforgettable. Beef is always a highlight, and the flat iron here is deserving of every bit of attention. 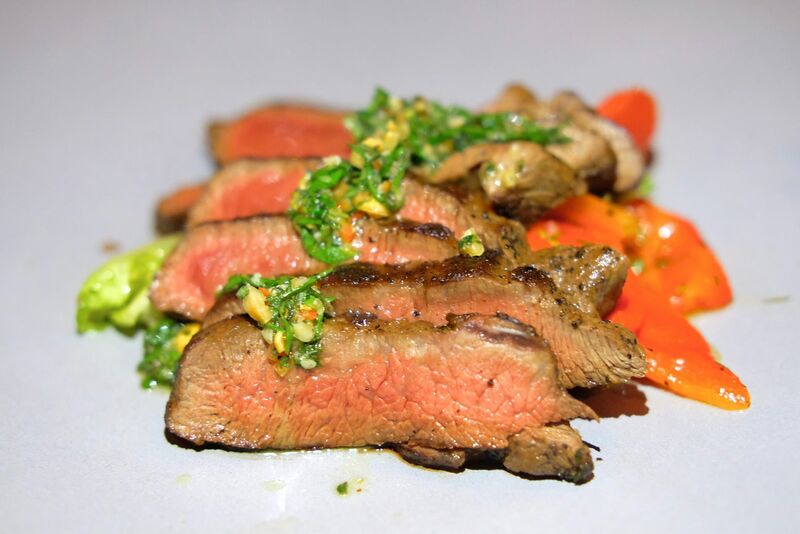 The 1824 Farm’s Australian Beef Flat Iron ($39) was executed to perfection. The cut of steak which originates from the shoulder of the cow is known to be tough, but Chef Aaron Foster has worked his magic and successfully nailed this dish. 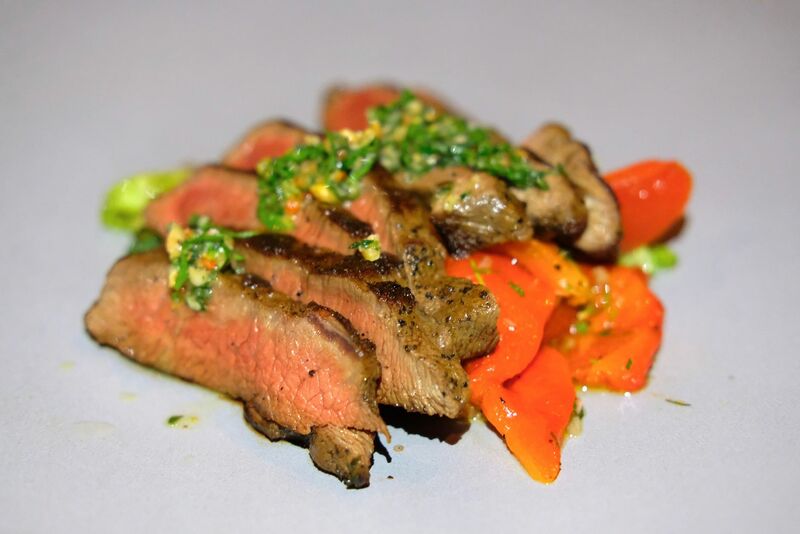 The tender beef slices are leverly paired with grilled romaine hearts, roasted peppers, and hazel chimichurri sauce. Not to be missed, for sure! Love your lamb shanks? 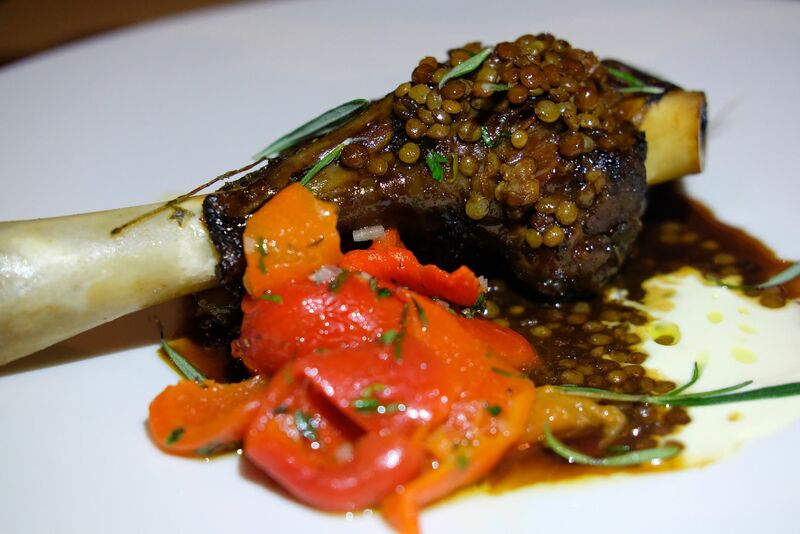 The Confit Australian Lamb Shank ($41) will not disappoint. The meat was fork tender and does not carry too heavy a gamey taste. You can still taste the lamb but it's subtle and manageable, even for those who aren't huge on lamb. 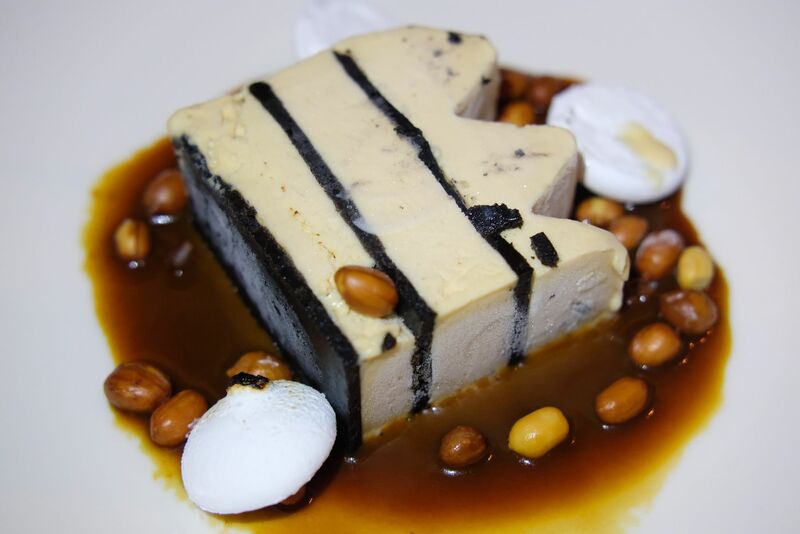 Apart from house-spun icecream and the signature Molten Sticky Toffee Pudding, the Peanut Butter & Chocolate Ice-box Cake ($15) is a must-try. Think yummy peanut butter icecream, layers of crushed chocolate cookies, fluffy toasted marshmallows, crunchy roasted peanuts and rich butterscotch sauce. This dessert was a dream come true for me. Every spoonful (make sure you get a little of everything) was a party in my mouth! 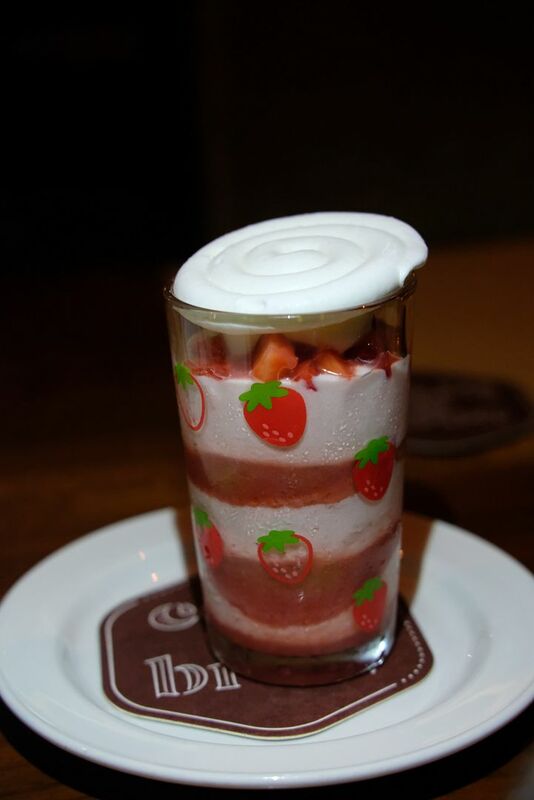 For those seeking something a little more refreshing, the Strawberry Mousse ($15) with Rhubarb jam, fresh strawberries, and lavender meringue might just be what you're looking for. My dinner at Cook & Brew proves to be one of the best dinners of 2017. I loved that the food here is unpretentious, affordably priced, and most importantly, delicious. 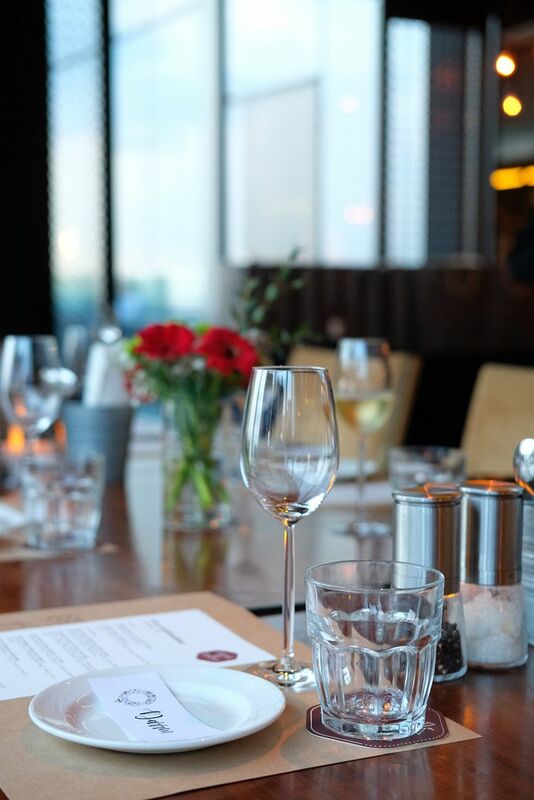 Diners can take advantage of their 4-course Christmas Eve dinner promotion going at 50% off (u.p. 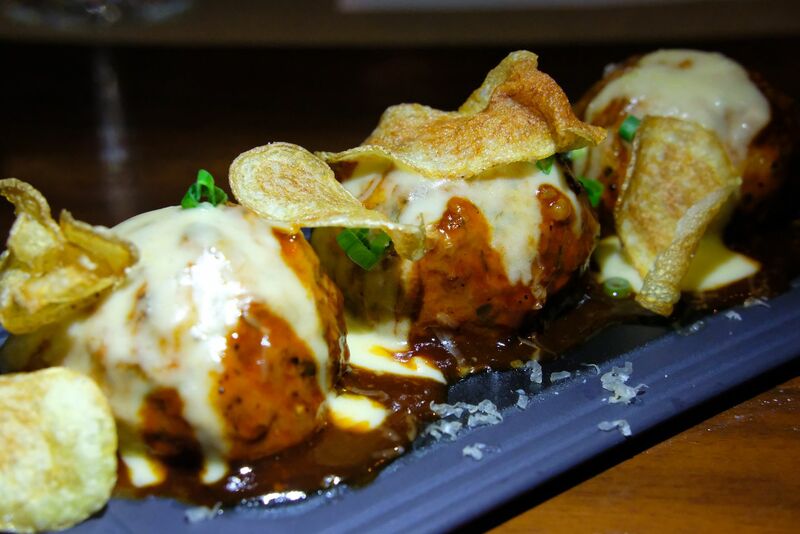 $78) consisting of a choice of new and signature dishes.